This list will grow along the time as long as I want to write about it. I address myself in third point of view. Was firstly smitten by personality tests during college. 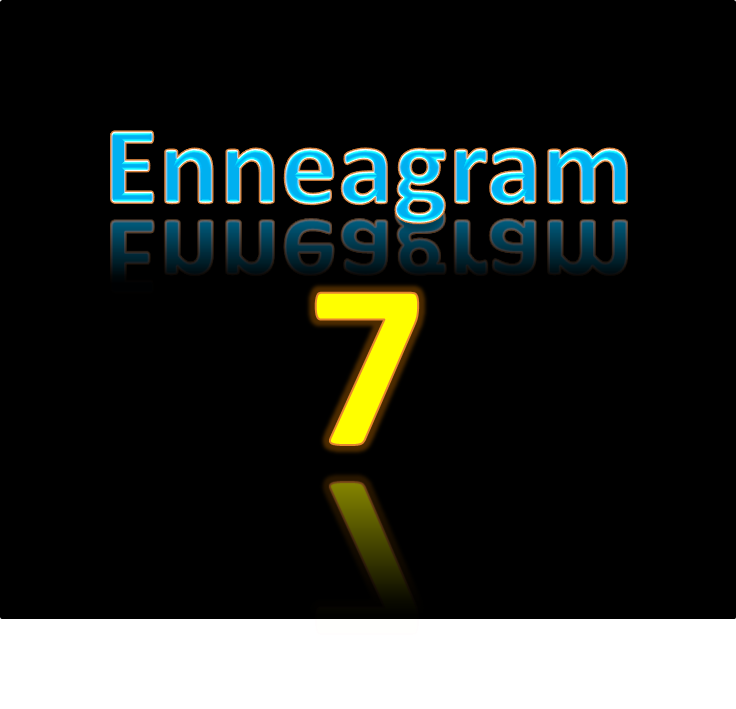 She was so amused to find herself as Enneagram 7. It was like, "Wow, so I'm not that weirded out! There are people similar to me!" Firstly found herself as ENTP in her early twenty. She laughed so hard when reading the description because it was eerily similar. She loves encouraging people to take personality test! Blue is her favorite color. Black and white follow close by. She put pink at the last color to pick, but she does not particularly hate it. People say that her facial feature actually suits pink and she looks fabolous in that color but she would simply answer, "I know I look good in pink, that's why I save it only for some occasion,"
Yeah... She's both calculating and narcissistic at the same time. Her first roleplaying game is Shining Force II. She got plenty of English vocabs from that game. She also started to learn English rigorously since then. Her latest ITP TOEFL Score is 613. A native speaker once told her that he could not catch her words. So she started to learn how to speak English. Now she's a lot better. She learned Japanese by herself since middle shool. She had mastered both Kana and some very simple Kanji when she graduated. She firstly took a lesson for Japanese in high school. She was once sent to Japanese Story Telling Competition by her school, but she failed rather big time. She still learn Japanese until now by using Duolingo app. She cannot speak Japanese like she does with English though. Her very first (and favorite) Japanese song is Fukai Mori by Do As Infinity. It is also the very first Japanese song she can sing very well. She is a soprano. She was once part of choir in her college days. She still practices singing every now and then, usually when driving alone. She values her time of practicing singing, so she can jump into the stage when needed. She once jumped into student's choir in an event in her faculty because the choir's soprano was very weak. Thankfully, she still memorized many lines of the choir songs. One of her favorite singer is Christina Aguilera. The most memorable song is 'I Turn To You', since she practically needs almost 10 years to reach all the notes and sing it perfectly. Her is currently in love with Pentatonix and Clean Bandit. Maroon 5's videoclip of 'I Don't Wanna Know', sparked her curiosity of Pokemon Go. She was part of Valor. She still likes playing games, especially roleplaying games. She also plays CYOAs and recently she plays Mystic Messenger. The reason why she plays Mystic Messenger is because of the quote, "Let's Marry in the Space Station,"
It takes her one year to finally relent to her curiosity and finally plays the game. She only plays Zen and Seven routes though. She set many alarms in her phone so she won't miss the chatroom. She is capable of putting a straight face when playing games so people usually think that she is very serious doing the work with her phone / laptop. This facáde falls when she's alone. She was once a Guildmaster in Ragnarok Online. She gave up the position because she considered herself way too lazy to grind as intense as her fellow guildmates. She favors magic users when playing roleplaying games. Magician comes first. Healer comes after. She wishes she could do levitation. Her real hobby is to stare at the blue sky while doing nothing. Her real dream is to become an astronout, and she understands astronomy very well despite of her rather low mark in physic. She held dear on this dream until her last year in high school, when she suddenly realized that being an astronout would be very difficult. She is a medical doctor and a lecturer. She chose medical school because she was informed that it has the easiest orientation period. She also thought that there's no physic in medical school. Once she found out that medical school indeed has physic course, she immediately called her mother, telling her that she didn't want to be medical student anymore. Her mother was very angry. She failed her physic course in medical school once. It's her worst mark ever in her history as medical student. She doesn't like to be called 'Doctor' if it's not in a medical setting, nor she likes to tell people that she's an MD. She mostly prefers to be called by her name and her occupation as a lecturer. She frequently calls her fellow lecturers as 'Prof', especially if they aren't from medical school and call her 'Doctor'. She has a young face. It is in her gene. Both her parents look younger than their actual age. She is currently the chief of quality assurance unit in her faculty. She still holds the record as the youngest chief ever in her university's history. But she prefers to step down next year. She is not easily stressed out. She commonly takes task twice as much as her fellow lecturers do. She is actually a procrastinator. Though, she conciously arrange her procrastination well so only a few people can clearly see it. She works well in both silent and loud environment. She will put her headset if she need to concentrate fully. Usually, she puts on Yiruma's piano session when she does this. She is well known for her speedy and accurate work. Maybe that's why she's given way too many task more than not. She excels in using computer. Her IC3 Score is 867/ 822/ 933. She has very little patience in young girls who cannot understand technology. She has way less patience in guys with same case. Are they from Stone Age?! She has balance between meticulousness and sloppiness. She values understanding. She loves to make people understand. Maybe that's why she prefers to be a lecturer. She has a great amount of leadership and she is well aware of it, though she usually prefers to let people take that role. Should there is no one to take it, she will step up. She actually prefers to be aloof than being in charge. But it doesn't mean she hates being in charge. She enjoys that. She thinks of responsibility as a quest to conquer. She likes learning new things. And it means, anything! From origami to building a rocket, if possible. She likes to read. Anything. She has many books and somehow she manages to keep them at top-notch appearance despite of the long ownership. She has many novels. Mostly about magic. And she is very protective of her novels. Tear a milimetre and she will hate you forever. She gives only her favorite books plastic cover. She once had Twilight novel, but she hated it before she reached the middle of the novel. She then gave it to her friend, who was dying to have the novel. It is the only novel she ever gives. She forgot which of her friend whom she gave the Twilight novel, because she did the giving completely on whim. She has weakness of cute things. It is the only condition in this world that make her unable to put a straight face to. Her favorite stuffed animal is Pooh. She loves snuggling to her stuffed animals. She doesn't like human-like dolls in all size. She thinks they are creepy. She loves to draw, but she admit that she is not good at drawing person, unless as chibi. Her first painting is tropical fruits in blue table. She still has it on her wall right now. She has rather good skill in Photoshop, but second to none in Corel. She is capable to use Photoshop in making comic, page, poster, etc. She used to be very capable in making short animation using Flash. But she never uses this skill again and now she is completely out of it. The multimedia skills she has comes from her experience as recurrent multimedia team during her days in college. She was once an illustator for student magazine. She was the character creator for her press group's mascots during her college days. She used to be called as way too serious when she was in her early college years. Many old close friends who meet her now say that her current personality is way a lot brighter than she used to be. She underwent massive personality challenge during her early twenties. People who primarily affected her change in personality were: her mother, her partner in hospital, and her first love. She is usually pretty slow when realizing that she is in love. Her closest friends tend to recognize it first. She has three closest friends she cherishes until now. All three of them were also in love with her first love. The four of them remain best friends until now. They identify themselves as Spongebob, Patrick, Squidward, and Sandy. She did not end up with her first love. She has tendency to analyze her own feeling, which is actually absurd. She is aware of this absurdity but she can't help it. She was mostly oblivious to people's feeling, stated only fact and did not think much about the impact. She recognized this fatal mistake during her mid twenties and now is continuously trying to be more considerate. She still does not value dramatic people. But, she can turn any condition into dramatic one if she thinks it is necessary. Or funny. She questions many things. Not because she is sceptical, she is just way too curious than normal people. She likes people who can understand her over-the-top curiosity. She encourages people to be curious. Especially her students. She is an excellent brainstormer. She was a not-so-good plan executor. But since she started to work in the faculty, she realized that she has to be a good executor too. She can be a multitasker. She can sing, play games and work all at the same times. The work is usually being lagged though. She considers playing game as her way to wind down. She likes memes. She likes to make memes out of the pictures of her big family and shares it in the family group. Although she is a procrastinator, she almost always comes on time. It is hard to impress her if you come late, unless you have a very good reason. She wants all her students to be successful, more than her. She might need some time to warm up to new people. She sometimes stares at people. She knows it is rude, so she only does this if she is sure that she is not being noticed. Alcohol injured her left eye during her thesis research. It becomes S-5.25 in an instant. She is very cautious with alcohol spray afterwards. Her favorite body part is her eyes. She injured her right foot during her period as junior doctor. It never heals completely and sometimes she suffers from serious strain if she walk/run/drive too much. Due to her right foot injury, she always wear at least 3 cm heel to prevent further flattening of her foot palm. She can drive, but only her car. She refuses to drive any other car. Her farthest record of driving nonstop is from Surakarta to Caruban. She likes to wash her car herself. She thinks of it as a way to deepen her relationship with her car. She named her car 'Plue'. She can ride motorcycle, both manual and automatic. The name of her motorcycle is 'Pipin'. She is not easily flustered, unless you know her keywords. Once flustered, it is a very deep impression. She is considered as multitalented by many people. She denies it though. She prefers to be called 'curious' than 'smart'. Her full name literally means 'a good kid blessed with safety'. She uses the meaning of her name as justification of her childlike behavior. LOL. The phrase 'blessed with safety' in her name was given because she was a small baby, so her grandmother was worried. Her name contains the abbreviation of her parents' name. The name 'Siennra' is actually the abbreviation of her full name. She actually wishes to be named after a star, but she loves her name too much to actually change it. Her birthday date is coincident with Japanese children day. She is the first kid in the family. Her favorite subject ever since she entered elementary school is definitely, astronomy! Her favorite star is Sirius. Her favorite rocky planet is Earth. Her favorite gas giant is Saturn. Her favorite Kuiper Belt object is Pluto. Her favorite quote when she's stressed out is: "I wish I could fly away to the other end of the Milky Way,"
She collects numerous space-themed wallpapers. She loves astronomy because it reminds her of the nothingness, that her existence is next to nothing in the vastness of universe. She draws better spirituality by understanding the minusculity of human, compared to anything else. She loves the fact that the hydrogen atoms in living being is literally the trace of Big Bang. She can talk about this for hours. Meditation is one of the most difficult thing she ever learned, due to her tendency to jump over things even inside her mind. Nowadays, she meditates rather easier. She almost never stops thinking and formulating things inside her head, unless she prays, meditates, or sleeps. She values her sleep time. Unless she gets new novel or game to finish, LOL! She can practically give up the whole night for those two. She rarely has trouble sleeping. Even after very troubling days. She almost never takes coffee no matter how sleepy she is, because her stomach hates it. She only takes coffee (after taking gastritis premed) if she is overly sleepy to even sit straight. She usually still suffers from nausea though she has added sugar and creamer into her coffee. She loves tea. Especially those with strong aroma. She drinks her tea without sugar but sometimes adds creamer just to test the taste. She hates medicinal / herbal tea though. She likes curcuma drinks. She dislikes any other rhizomas, including ginseng. She likes chocolates, especially bitter chocolates. She likes milk, especially the unsweetened one. She loves cows, the fat ones. She thinks they're cute. Another animal she likes is cat. She used to raise a female one, which she named 'Teman', since it was a kitten. They remained friends for seven years and the cat gave birth to many MANY kittens. The cat always visited her every morning and her heart always melted everytime they played. On the seventh year, Teman suddenly meowed from far away from her house for around five minutes, then went away. Teman never came back again. Apparently, her mother hates cats, so she never invited Teman into her house. The cat found her own way inside though. She still has one video depicting Teman's kitten played with Teman's tail. It never fails to make her smile. Around ten days after her last encounter with Teman, she dreamed of finding Teman lying unmoved behind the door of her house. She abruptly awoke from her sleep. She understood then, Teman has passed away. She cried during the rest of the night and one full day afterward. Sometimes, she still cries silently when she remember about that certain female cat. She is an expert in hiding her tears though, almost to whatever cause. She refuses any possibility to raise any other animal again because she fears the pain of losing it again one day. If she can be an animal for one day, she would choose to become an eagle. She wants to soar onto the sky. She hates butterfly. Because its offspring is evil!!!! At least in her opinion. She was once 'chased' by butterfly and about to cry. She also hates any other avertebrate creatures. She might cry and scream and cry and scream and cry and scream because of them. Like, seriously. She may massively tremble if she finds any avertebrates when attempting to clean the edibles. She probably chooses to throw away all the edibles then. Still, she likes to cook. For her, cooking is an experiment. She makes her brother her personal tester. LOL. She refuses to use MSG. She relies on herbs, leaves, and seasoning to determine the taste of her cooking. Her mother is a good teacher. She likes spicy foods. So much. She sometimes suffers from gastritis because of it. Goat is not cute in her opinion. She loves to make ketupat from coconut leaves. She and her father are the only one in her big family who still have this ability. It was her late grandfather who first taught her how to make one. Yes, making ketupat always reminds her of her late grandfather. She hates the fact that many people choose to buy ketupat rather than making it themselves. She has the tendency to talk without thinking, trusting her brain to provide and articulate words after words on the go. On rare occasions, her brain fails and she'll stutter. She is actually an ambivert. She is drawn by both people and solitude. Surprisingly, she recently found out that ENTP is indeed the most introverted extrovert. She does not really fond of night party, including any sort of gala-dinner. Night time is the time for self. She likes afternoon gathering though. Afternoon is the time for people. She likes to walk alone most of the time. She likes having possibility to meet any new people during her walk. She is not afraid of being different. She values originality. 'Weird' sounds like a compliment than an insult to her. She hates plagiarism, especially if it concerns hers. Sometimes, people say that she must stop hogging all the spotlight. She laughs it off, "Blame the spotlight! Not me!" She does not like to be included into a team without her concern. She already has very packed up days all week. She holds all of her opinion with strong grounds. She is aware that this trait makes her seem unreachable sometimes, because, you won't be able to change her mind without strong reason. She actually looks for someone who can break her arguments. Being a brainstormer, she can easily be a devil's advocate if she wants to. Out of work, she can be as emotional as any normal female species. She hates clingy people. For her, it is very annoying. She dislikes people who give up easily. She tends to like challenges. She calculates the challenge and determine its risk and failure probability as soon as the challenge is sounded. She can reject it on the spot (if she thinks the hassle is too much), accept it on the spot, or challenge back the one who comes with the challenge. She respect her teacher, lecturer, and elder in general. Her respect does not determine the ground she stands though. She prefers to speak truth over sweet talk. She spends years (and is still learning) to hone the truth-telling skill to her elder without making them feel unrespected. She treats her students equally, no matter who their parents are. And she is up to all arguments if their parents are unsatisfied with this fact. She hates people who use their parents as a 'shield'. She considers her quick and witty thinking as a double-edged sword for herself. She is blatantly and naturally outspoken. Over the years, she learns how to keep her opinion to herself, little by little. She loves spending her time home. Especially in weekend. She cannot swim, despite the fact that she took swimming lesson when she was younger. Thus, she is very afraid of drowning. She likes cold weather a lot more than hot weather. She almost never opens her Facebook account, nor she is familiar with its features. Her favorite social media are Twitter and Habitica. She is currently a Healer in Habitica. Her favorite IM is Whatsapp. She rarely opens any IM or social media in weekend. She often has trouble remembering the name of people she just met. She does not have trouble in public speaking. It has been said above, she trusts her brain enough to supply her with whatever words she need for the next second. She is not fond of selfie. She does not like being photographed alone. She likes taking photograph though. Her favorite gadget is her phone. You can find the following app inside her phone: office suite, photo editor, notes, kaomoji, IM, calendar, meditation app, and several games. She relies heavily on her calendar to tell her what to do and what she has done. She likes putting blue-themed or cute wallpapers for her phone. She will laugh when people put salutation of 'Hajj' or 'Hajjah' in front of their name. It is not a salutation whatsoever! Thus it is very hilarious to hear someone says, "My name is Hajjah....(name)....."
She will laugh a lot at that. Then loses most of her respect to that person. She is quite selective in choosing whose religious preach she wants to listen. She favors a preacher who has broad perspective in valuing good and bad things in life. Her favorite preacher is Prof. Quraisy Shihab. She rarely watches television, unless it is news program or the preach of Prof. Shihab. She is never fond of sinetron. LOL. She gets almost all news from Twitter Feed. She is an avid viewer of Youtube, especially space science. If she can choose, she would choose to be an lecturer without additional nor structural position, so she can focus on her research more. Though so far, this is way too far from reality. When she leads, she prefer to put the base principal first before putting people into the task. She is never fond of ordering people around. On the other hand, she dislikes being ordered around. She has a tendency to walk fast, unless she has many things running around in her head. She can be slower than snail that way. Her biggest strength as leader is her positive attitude toward any problem, no matter how sudden and how gravely dangerous the problem is. Her biggest weakness as leader is her tendency to expect people move as fast as her. She has rather low tolerance on people who move slowly. She moves her body to the melody she hears, whether it is subtly (like finger taps) or fully. She sometimes works out while listening to upbeat songs, and moves as the melody flows. Kinda weird, yeah... but she thinks it's fun! She sings when doing things. With or without headset. She adores Choi Twins. She can fangirl like teens for this. She admits that her mind still unconsciously thinking that she is currently in her mid twenties. Her skill in playing music instruments is next to zero, despite not being tone deaf. She did learn guitar and keyboard at some points but she did not continue her lesson. Still, she dreams to be able to perform singing while playing music instrument by herself. Several plans she had when she's younger is to become architect or painter. She never planned to become a medical doctor. Despite her liking to sing, she never dreams to be a singer. She did dream to become a dancer once. She danced a traditional dance and several contemporary songs when she was a child. She kind of buried her wish to dance since her mother said that she could not move her hands fluidly when dancing. She was eight at that time. After that, whenever she got chance to perform, she chose singing rather than dancing. She actually still holds a wish to dance some traditional dance. But she knows she doesn't have time to learn those intricate moves anymore. She still sometimes dances to her favorite songs until now. She wants to learn batik-painting since she was a child. This wish has not been fulfilled. She can be very sentimental when she visited several cities. Like Solo, for example. She can sing 'Only Human' by K without peeking at the lyric, despite the fact that she never watched 1 Litre of Tears. She is the type that will replay exactly one song that she finds similar to her mood for hours (or days, or weeks) nonstop. She is the type that can only do something if she wants to do it. If she doesn't want to, then she won't be able to do it since her brain will be too scattered to even focus on it. Due to her happy-go-lucky (and sometimes, overly positive) attitude, most people won't believe that she was once collapsed due dengue fever and must be hospitalized. Everyone thought that no mosquito would win against her. Honestly, when she says, "Is there something I can help?" it doesn't mean that she has nothing to do, but she is getting impatient, that is why she prefers to dive unto your task so she can speed it up. She is not naturally silent when she is around people. If she does, then it is either she is deep in thought, or she is downright angry. She is the biggest inspiration for herself. That's why she is very careful in deciding her feeling toward something. She can easily motivate herself, or... crush her own motivation in seconds. Negative feelings rarely affect her as a whole person, so you can expect her to be as bright as any other day no matter how difficult her situation is. But it doesn't mean she doesn't have negative emotion. She has. She just learned not to let it take control. But sometimes, she loses her control. She withdraws herself only when her negative feeling becomes overbearingly dominant. She is mostly fond of surprise. When in charge, she is always in full alert and constantly formulating all turns of event, good or bad, thus she is mostly ready for any problem ahead. Though, she hates it when someone asks her a favor out of the blue, with short notice and (mostly) near deadline. She indeed excels at procrastination, haha, but her procrastination is the kind that cannot be disturbed. She plans all the deadlines she has in advance (yeah, kinda impossible but trust me she can do that) and one additional deadline can disturb everything. Do not give her a task out of the blue, especially if she is not in charge, unless you have made her know of it in advance. Her bodily alarm of being too tired, either physically or mentally, is the crestfallen feeling in her heart. She will put away all of things she's been doing if that feeling comes by. No matter she whines while procrastinating, she still gets an A. She is proud of this. But at the same time, it makes her prone of additional tasks. She takes chocolate bar or chocolate drink with her when she is stressed out. It is better to let her be when she withdraws herself to recollect her thought. She controls herself better than anyone else. She only cries when she is alone, or with someone she tremendously trusts. Her first instinct when she feels a negative feeling is to cheer herself up. This instinct is usually strong enough to heal her. It has its moment of failure though. It usually take her about one week to one year to actually let herself be sad to the point of cry over something. She spends all those time before being sad to try to neutralize her negative feeling. When Fact 241 happens, it means that she is badly hurt already. That is why she is very careful when her feeling is involved. Though, once she get over those sadness, she always finds herself become a lot more stronger and wiser. Honestly, she amazed herself because she has got over so many things she thought she wouldn't ever be able to get through. She consider herself a tough person right now and she is proud of it. So anyway, if you find her as someone who is constantly positive, trust me it is just a mask. Her closest people describe her as weird but unexpectedly dependable. If she goes somewhere for learning, like seminar or workshop, you can expect her to stay in hotel all day. Unless the venue is near with shopping centre. She doesn't like to carry suitcase when she goes on a trip. She prefers to bring the least possible baggage. She is not fond of the idea of buying gifts for people when she is in an official trip. She willingly buys some if it is a leisure trip though. She is aware that sometimes she overwhelms people by things she does, like putting practically all of her time (and her rigorous, undivided concentration) just for the sake of proving that she can do something that was deemed impossible. And she succeeds, more than not. She is not fond of being included in a group of instant messaging without her consent. The reason is that it is a waste of packet data. But she is included in tons of them. She does not read most of the groups' chat, just ones that are directly related to her work. She is aware that the three facts above annoys people and makes her seem distant. But honestly, it does not bother her the least. She believes that three months is the approximate age of a lively IM group. The group will be reduced to a group for happy birthdays or other dreary compliments afterwards. She is not fond of wearing watch. She pratically got into fight with someone due to her un-fond-ness of wearing watch. Haha. She does wear watch when she must do her lab work which requires time precision. Honestly, she is not fond of jewerly and other accessories in general. She also does not wear earring. But this is because she got scar in her left earring hole. The only accessory that she sometimes wears is giok bracelet, given by her mother.